We’ve been together with SFD for 16 weeks already. That’s 4 monthts! 18 episodes left and I’m kind of not ready with the ending. I did some googling right after I watch the episode when Ha Ryun (played by Jo Hee Bong) and Lee Bang Won had a conversation together. And, what I read shocked me. But first, I want to compliment how well-written the story is. There’s twist within twists. Nameless is led by a female, Cheok Sa Gwang is a female, Hong In Bang died so fast, Lee In Gyeom and Gil Tae Mi too. The cinematography is great! I love how they shot one scene from many different angles. The distribution among the characters is something that’s very notable. SFD has way too many casts but none of them is useless. And we actually know/recognize at least half of them since they come up pretty often. The writers surely know what to do with this story. Every episode is thrilling and memorable. It has some comedy to it. I’m not going to mention the romance in this one since in my opinion, the romance is not the focus here. 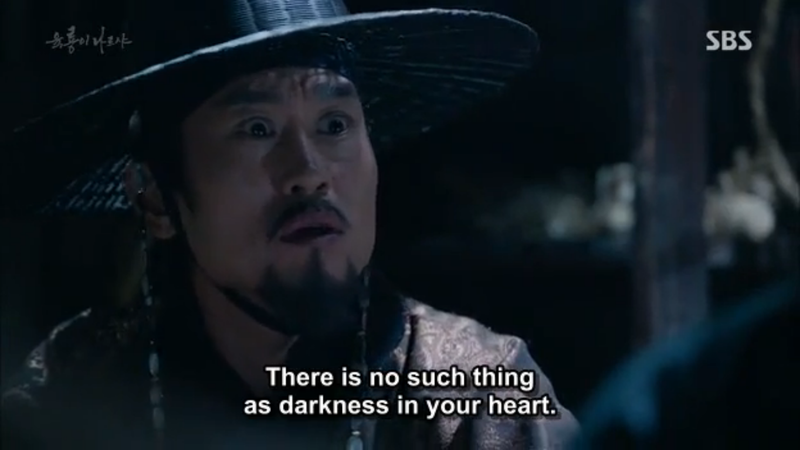 When Hong In Bang (played by Jeon No Min) and Gil Tae Mi (played by Park Hyuk Kwon) died I was really worried that the writers would ran out of ideas to fill the remaining episodes since most of the time the villains won’t die until the last few episodes (I’m eye-ing you Empress Ki, Jang Ok Jung). But the writers came up with something that’s even stronger and more complex than Hong In Bang Gil Tae Mi that’s not making us go headdesking. The characters are remarkable and no bad actors. I skipped the third and fourth episode, to be honest. The child actors annoyed me I just couldn’t stand their acting so yea, not everyone is great? 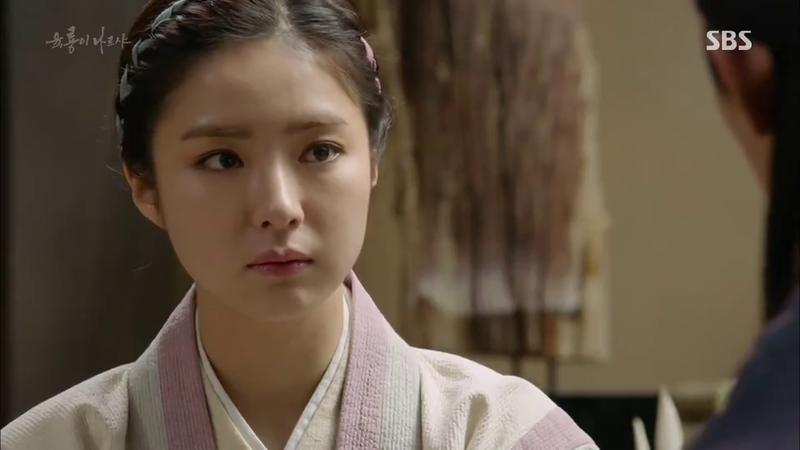 Shin Se Kyung does a great job! I didn’t expect anything from her since she’s only limited to a number of roles. I prepared myself for the worst but she is doing great. I was surprised. Her chemistry with Yoo Ah In is very great, thanks to Fashion King. I was one of those who opposed Shin Se Kyung’s casting lol because I thought the other one was a better choice but now I don’t think I could see Boon Yi being portrayed by someone else other than Shin Se Kyung. 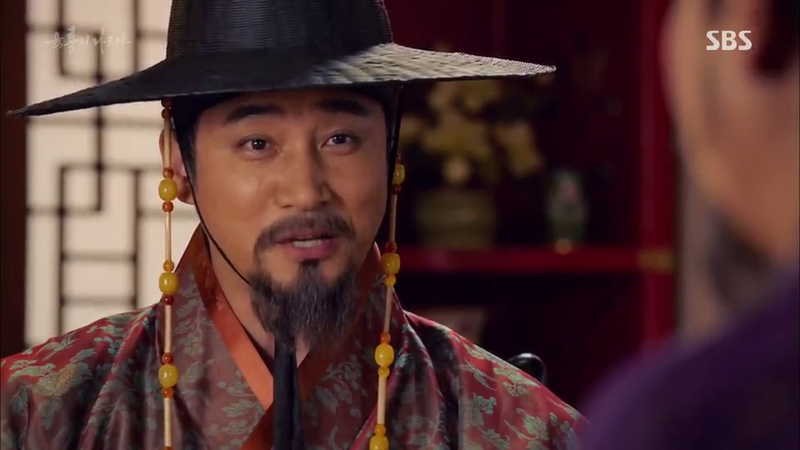 Moo Hyul (played by Yoon Gyun Sang) is a funny character. He’s a skilled warrior but he has a childish side that’s so adorable. 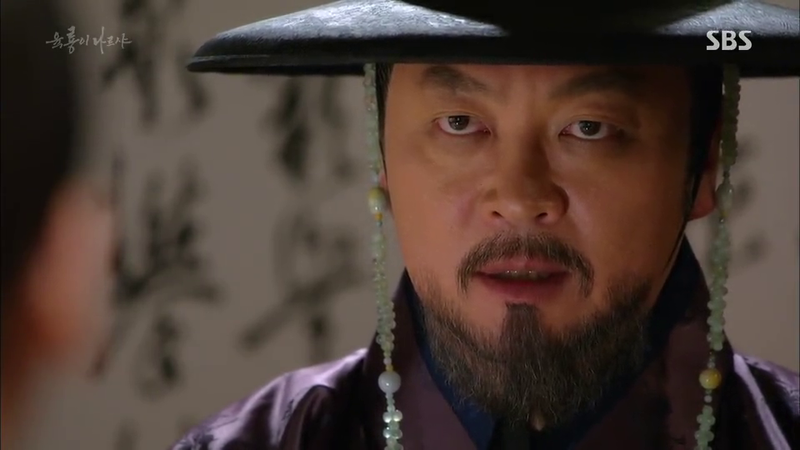 Yoon is capable of portraying 2 different sides of Moo Hyul, the charismatic warrior and the babo. He really suits the role! I remember not really liking his acting in The Time We’re Not In Love, talk about facial expression. His facial expressions were stiff there so I thought his acting wouldn’t be better than in TTWNIL but he surprised me by how natural he is in this one. He falls in love so easily which makes me go LOL. He first fell in love with Boon Yi but now he’s attracted to Cheok Sa Gwang (played by Han Ye Ri). I know that she loves the King but I can’t help but want her to like Moo Hyul too. But Moo Hyul-ah, she’s Cheok Sa Gwang. According to history you’ll be the best swordsman in Joseon so I can’t help but thinking that one day Moo Hyul will have a fight with Cheok Sa Gwang and she’ll die?? 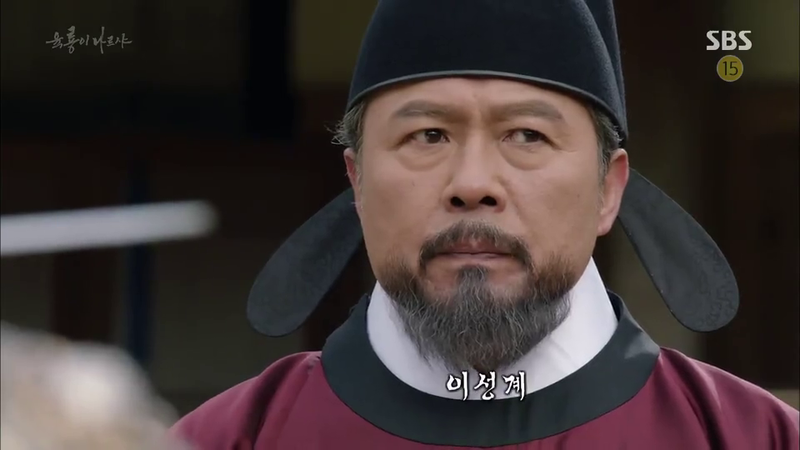 Cheok Sa Gwang is a fictional character though. Please let them have a love line at least make Moo Hyul falls in love with her HARD. 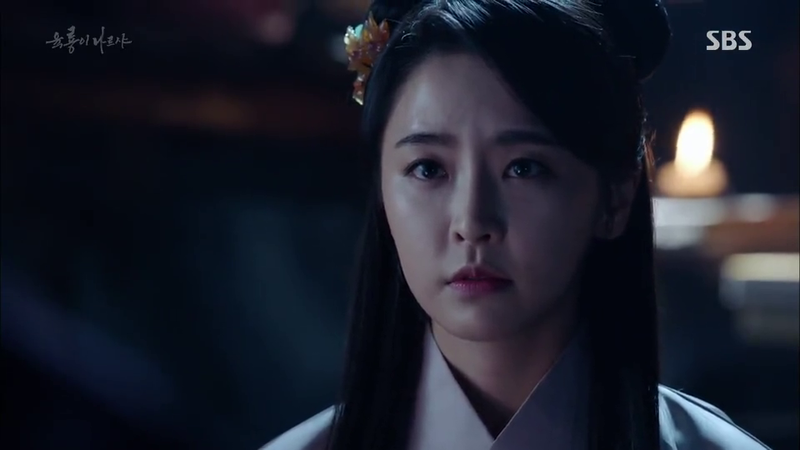 And let Cheok Sa Gwang teaches Moo Hyul’s her family’s infamous unbeatable swordsmanship. Now, let’s talk a bit about the history, the real event that happened in the past and recorded as history. 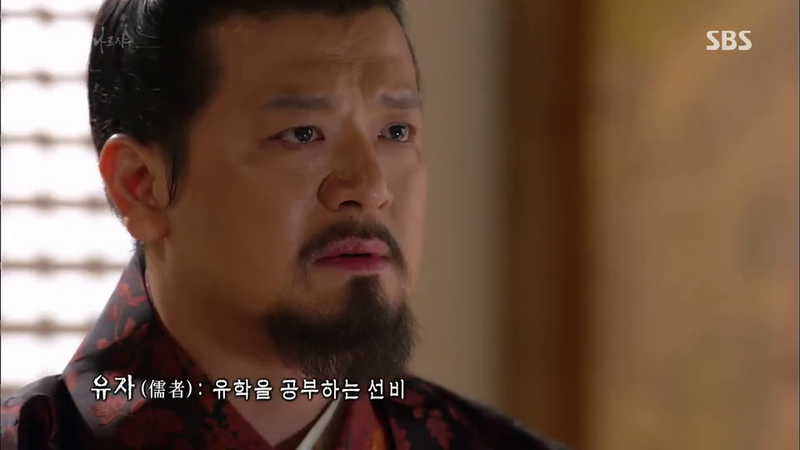 Yi Seong Gye (played by Cheon Ho Jin) really did become the king of the new country, Joseon. 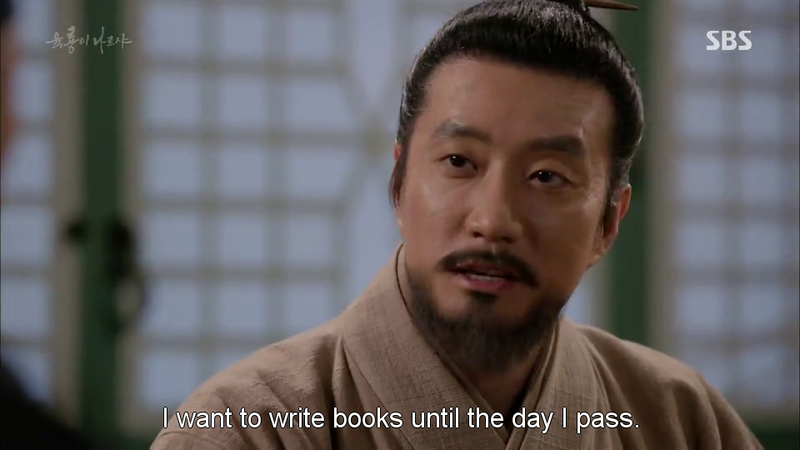 Jeong Do Jeon (played by Kim Myung Min) designed Joseon’s law policy, ideological, institutional, legal framework, military affairs, and many more. His idea lasted for 500 years but unfortunately didn’t get the recognition he deserved. 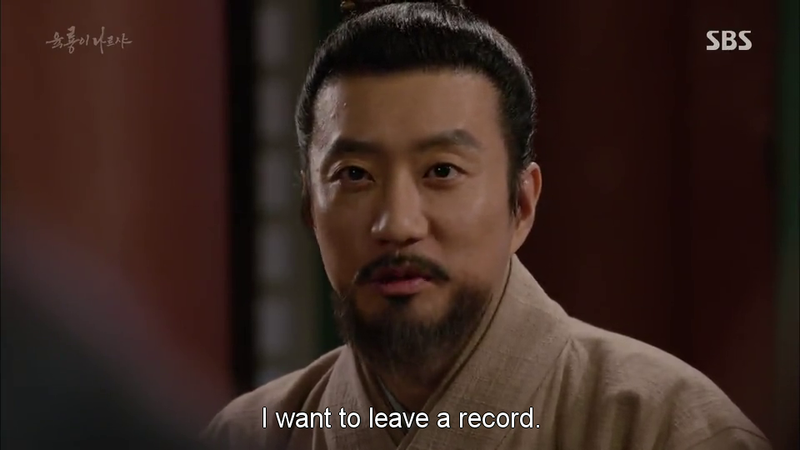 I wasn’t familiar with this era of Goryeo so I didn’t know anything about it. 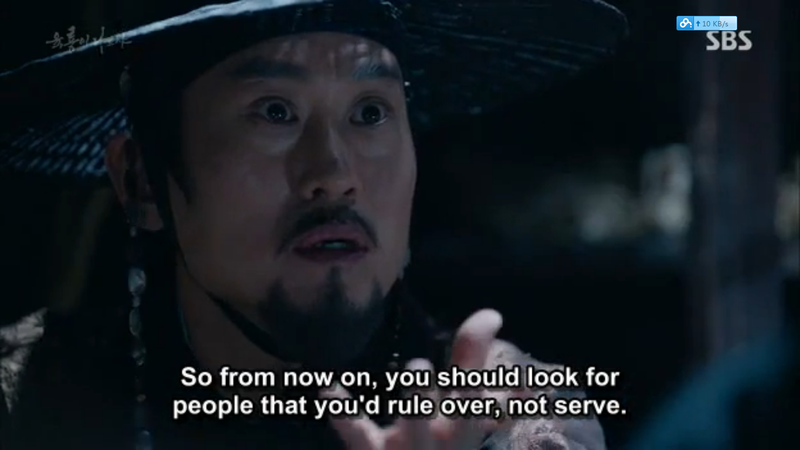 But when Ha Ryun and Yi Bang Won shared a conversation, it piqued my interest right away. I turned to Google and looked up to the history. And, what I read totally shocked me. 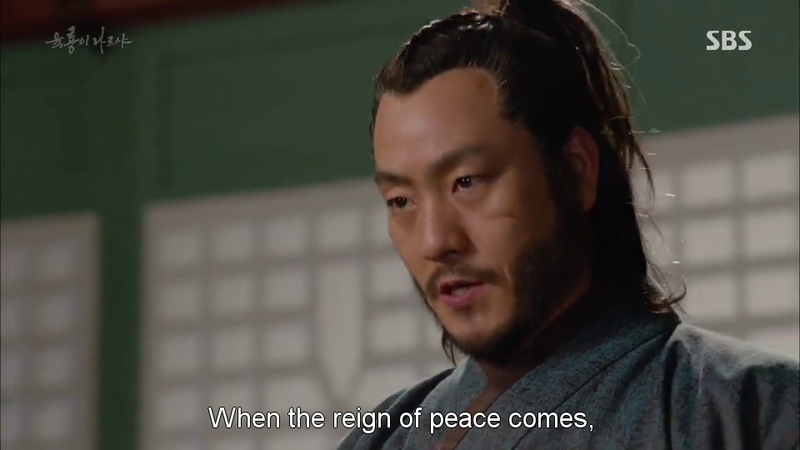 As you can read on wikipedia, Yi Bang Won (played by Yoo Ah In) rose to the throne after started a coup which led to his two brothers and Jeong Do Jeon’s death. 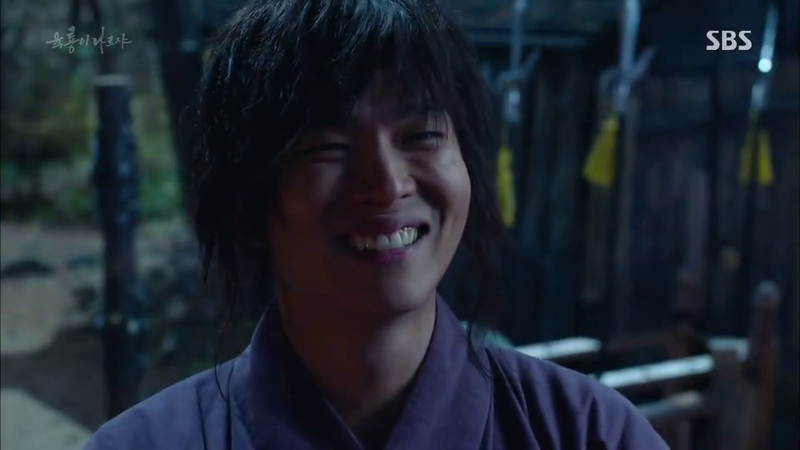 He also killed Jeong Mong Ju/Po Eun (played by Kim Eui Sung). 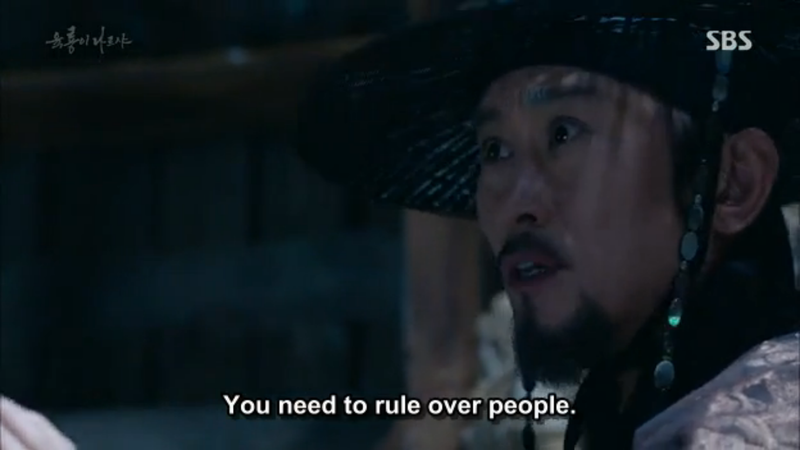 Ha Ryun then helped Yi Bang Won to ascended the throne. 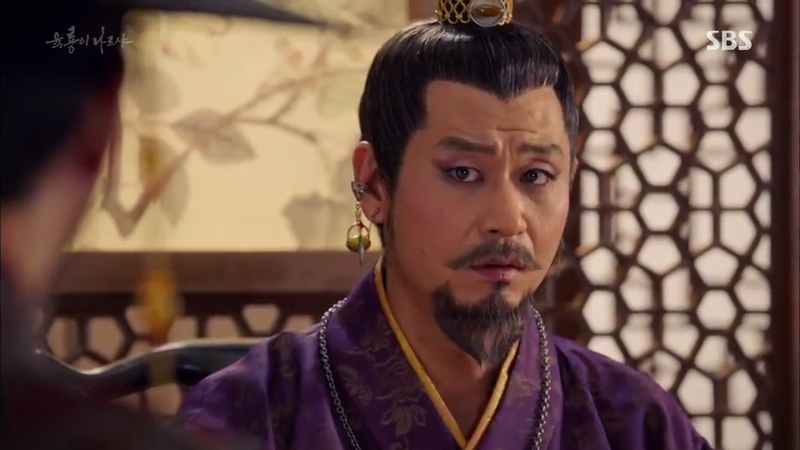 Goryeo’s last king, King Gongyang (played by Lee Do Yub), was deposed by Yi Seong Gye after only three years ruled Goryeo. He and his family were exiled to Wonju and were secretly murdered by Yi Seong Gye. This really shocked me. 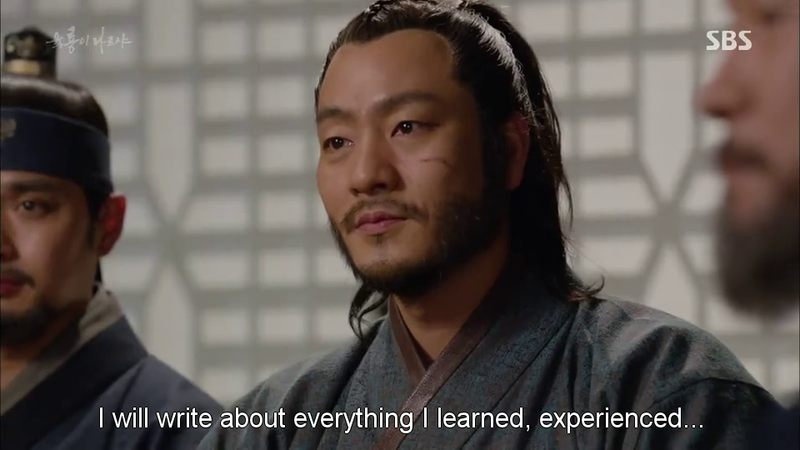 Largely, because of the fact I learned about Yi Bang Won. 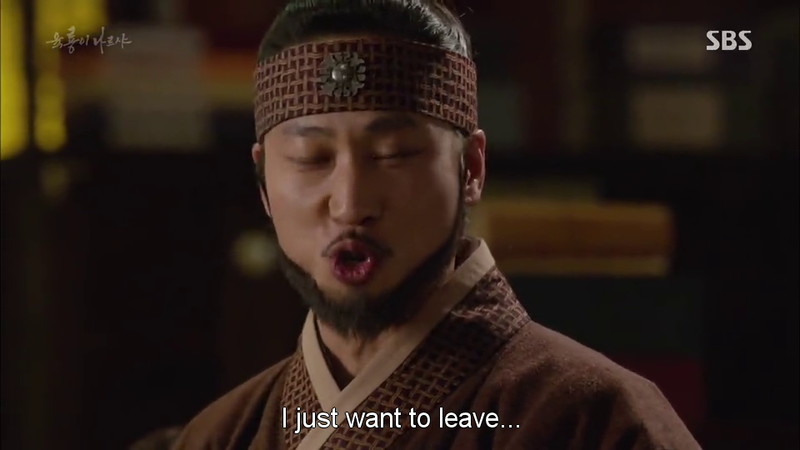 Lady Min (played by Gong Seung Yeon) became a queen, Queen Wongyeong, so for those shipping Yi Bang Won with Boon Yi, get off the ship right away or your heart will be broken so bad. I really want to see more of her. 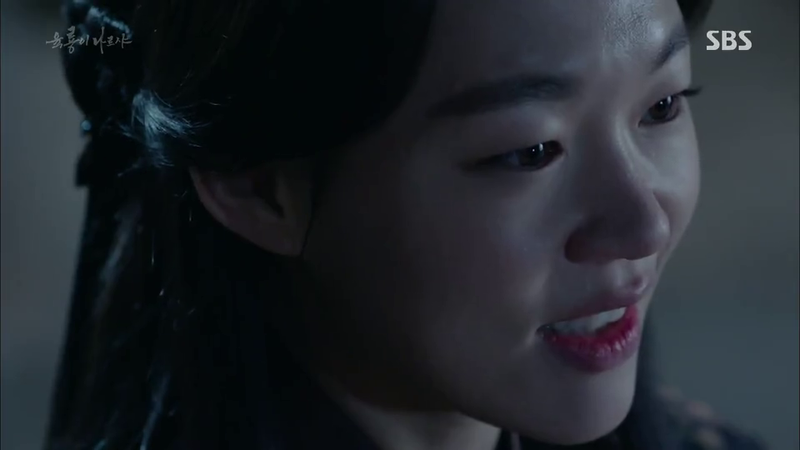 She’s painted as a clever and wise person in the drama but so far the script hasn’t done any justice to her role. I want her to get involved with Bang Won’s plan and all. DIRECTLY involved, I need to emphasis that. She’s also from the most influential family, Haedonggapjok. 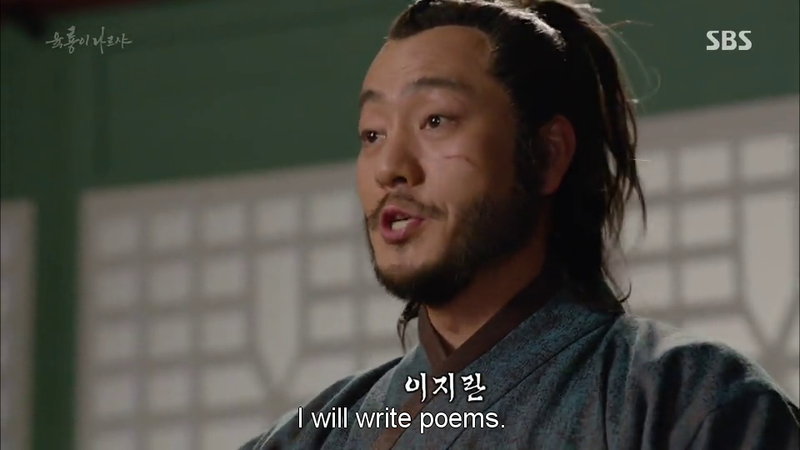 Yi Ji Ran (played by Park Hae Soo) did become a poet after Yi Seong Gye rose to the throne. Jo Young Gyoo (played by Min Sung Wook)’s dream came true. His name is written in the history. 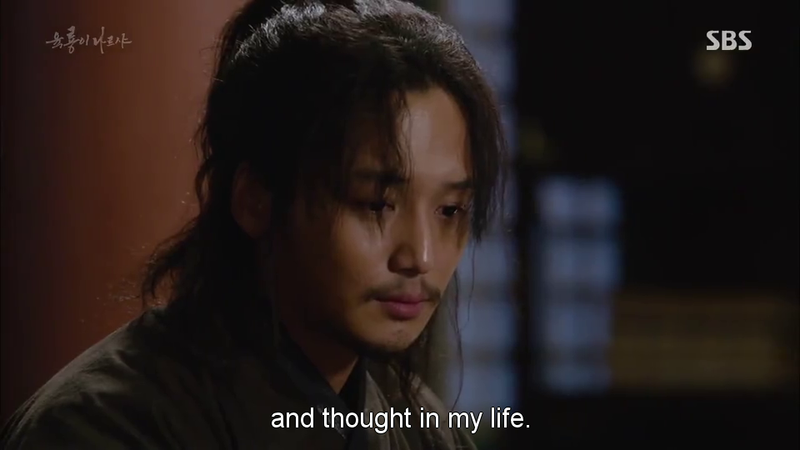 As the person who killed Po Eun with his own sword. Yes, his ideology and philosophy lasted for hundreds of years. Even after the collapse of Joseon he is still remembered as one of the greatest person in Korean history. Yi Bang Won led a coup and killed 2 his half-brothers, attacked his older brother, killed Po Eun and Sambong. His father hated him for the rest of his life. 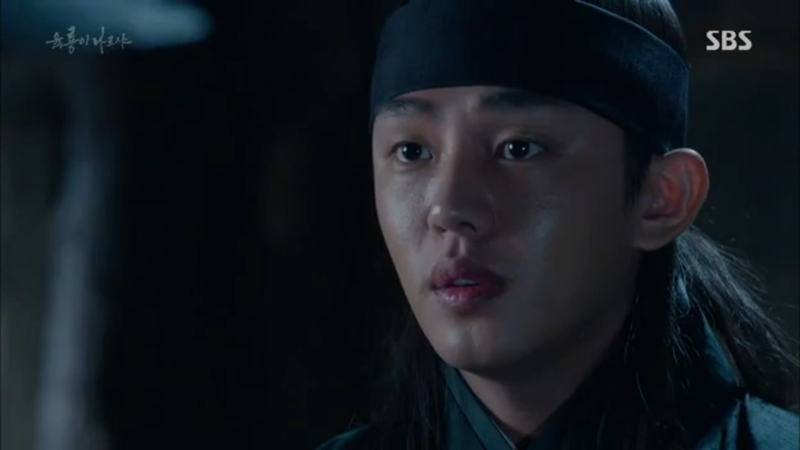 Moo Hyul in the drama swore to being loyal to him but at the end he will leave Bang Won’s side. 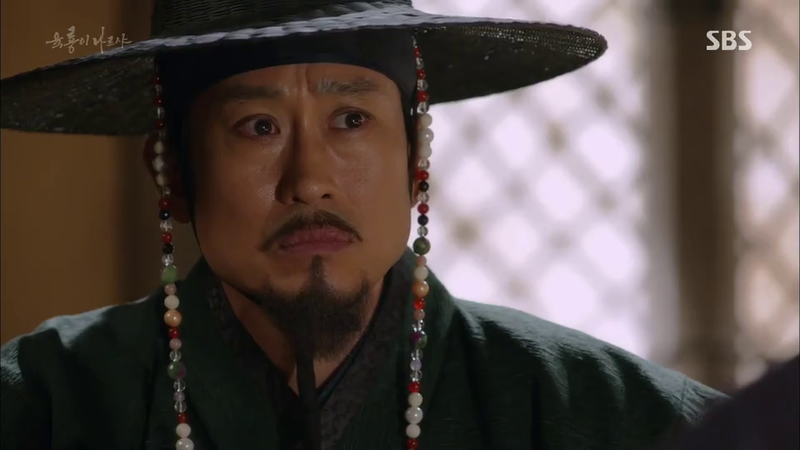 Bang Won became the third king of Joseon with the help of Ha Ryun. 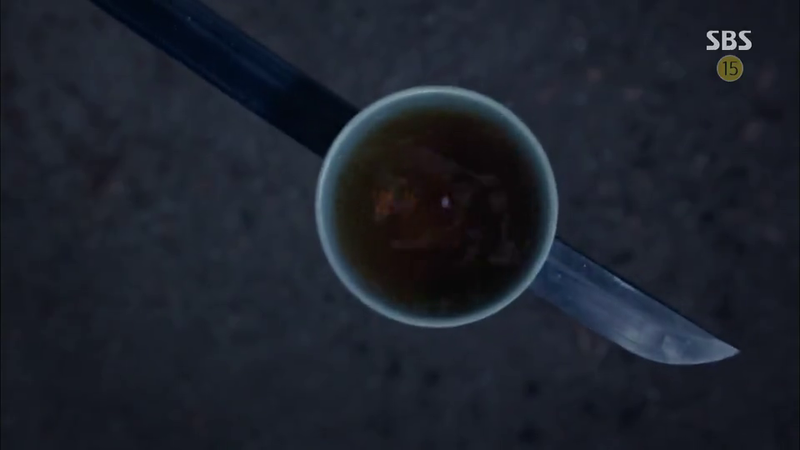 If you’ve already read the history before, OR this post, basically we already know what will happen in the remaining episodes, right? But this doesn’t mean you can just drop the drama because there are several fictional plot and characters that don’t exist in the history. These elements will keep you watching because you’ll be curious with how the ending’s gonna be. I’m really looking forward to Nameless. It didn’t exist in the history. Nameless is a powerful underground organization and up to ep 32, it’s so complex. Boon Yi and Bang Ji’s mother is the leader. I’m really looking forward to their reunion. Since Boon Yi and Bang Ji want to get rid of Nameless, how’s their reaction’s gonna be when they find out that the leader is their own mother. And how the mother will come to her daughter and son after all these years believing Gil Sun Mi’s lie. Really looking forward to Moo Hyul becoming one of the dragons. He still hasn’t gotten the dragon credit. 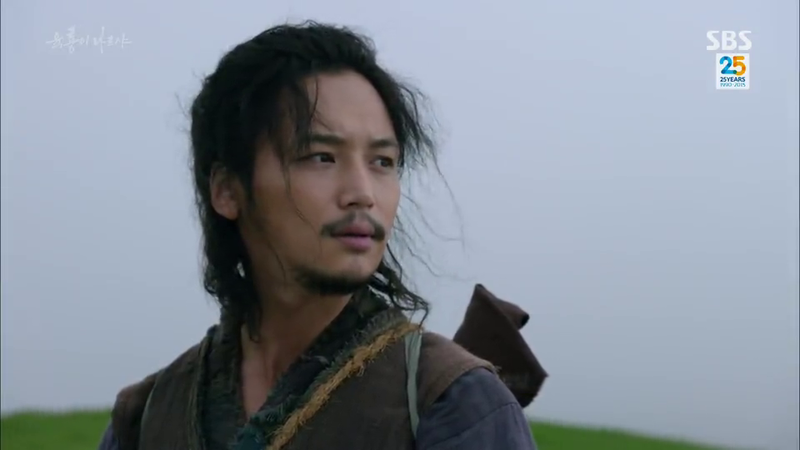 Since in the annals he’s recorded as the best swordsman in that era so I think he has to have win a fight with Cheok Sa Gwang in this drama. Again, Cheok Sa Gwang and Yi Bang Ji is a fictional character you guys. 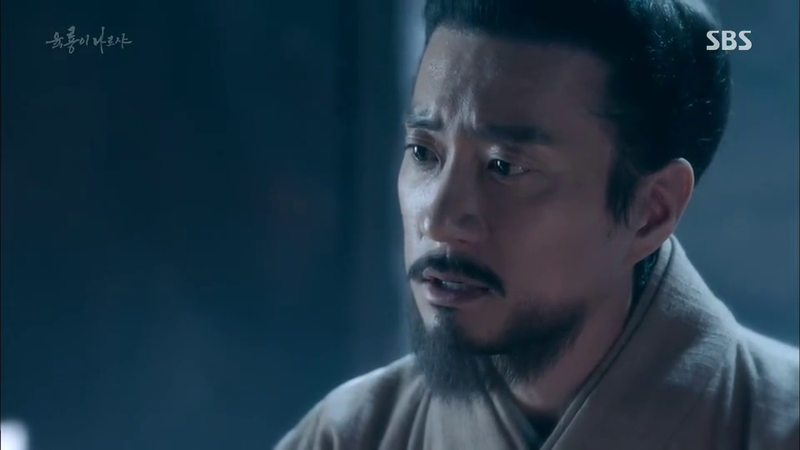 The best swordsman in Yi Seong Gye and his second son’s reign was Moo Hyul. 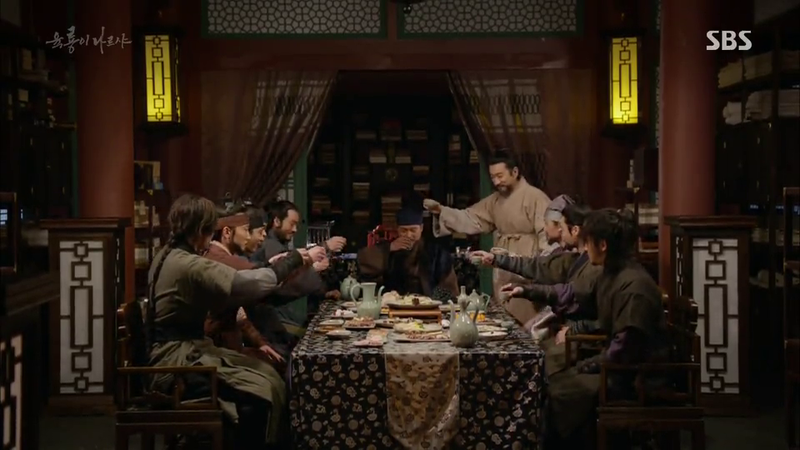 Yi Bang Won’s rebel is starting. I seriously think that he actually wants to be a part of Nameless to gain something from them, to strengthen his position. 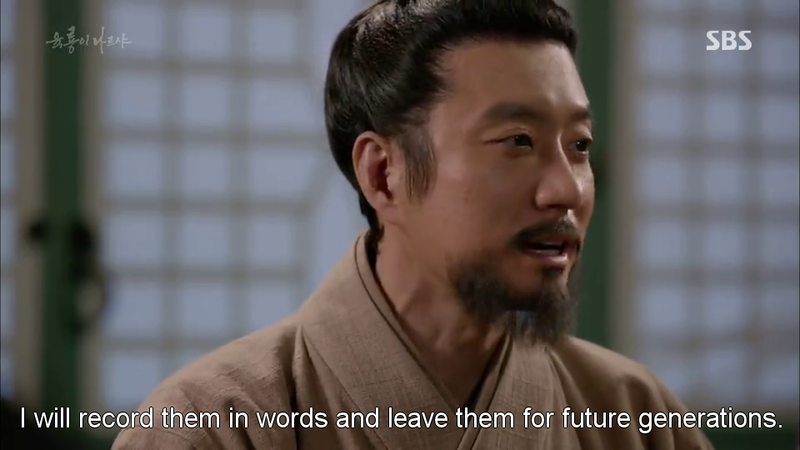 He yearns for the position and power once his father takes the throne but Jeong Do Jeon won’t let that happen with his 5 nation rules so that’s why he starts losing his trust in Sambong. This could pass as a final review of this drama LOL. This is the first time me writing such a long post with tons of pictures in one post. There is always the first time for everything. Previous Quote of the Week Next Wake Up To Reality!